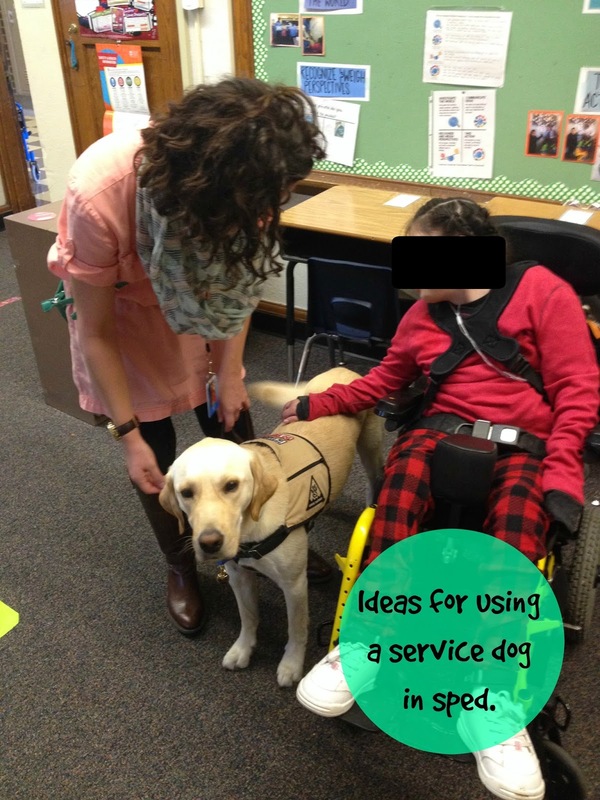 I've kind of fallen off the blog bandwagon the last couple of months... A lot of changes have happened, we bought a house, I started my Master's, and most importantly, a service dog, Ike, was placed in my classroom! 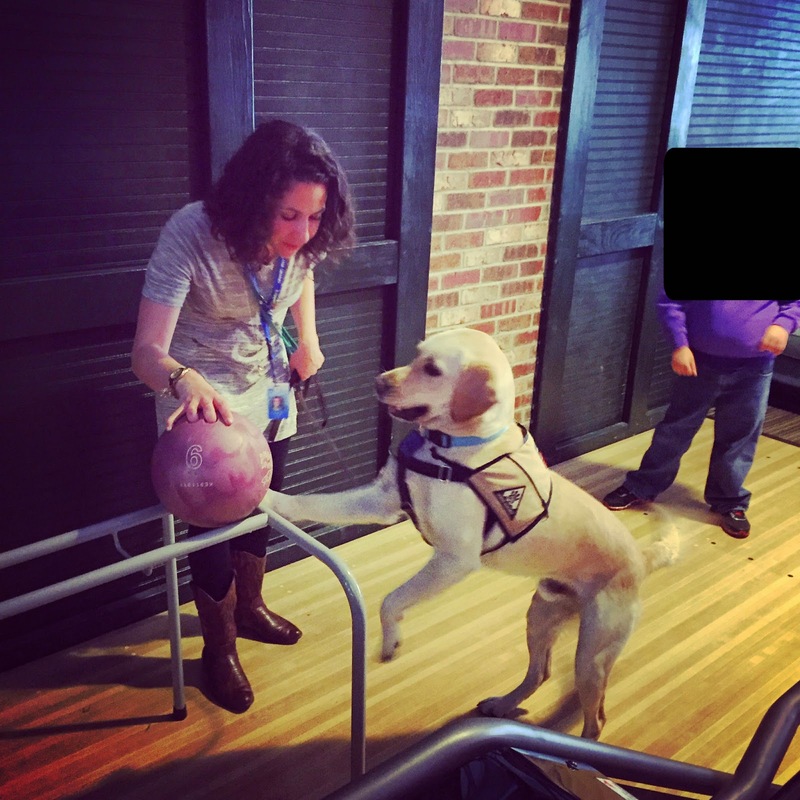 Ike was trained through the Canine Partners of the Rockies, a wonderful organization that trains Mobility Service Dogs for people with physical disabilities. 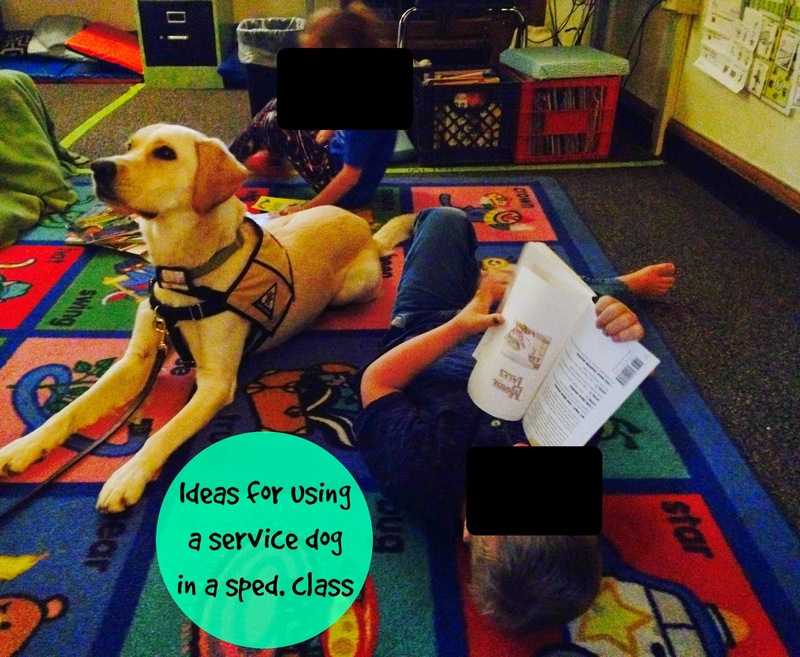 Since Ike was first trained as a mobility dog, he can do amazing things like open and close doors, cabinets and drawers, turn the lights off and on, and retrieve a variety of objects. But the most beautiful thing of all, is the work he does with my students with severe disabilities! 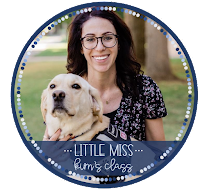 When I first got Ike, I was in shock- I had ALWAYS wanted a dog to work in my classroom full-time, but I was terrified! 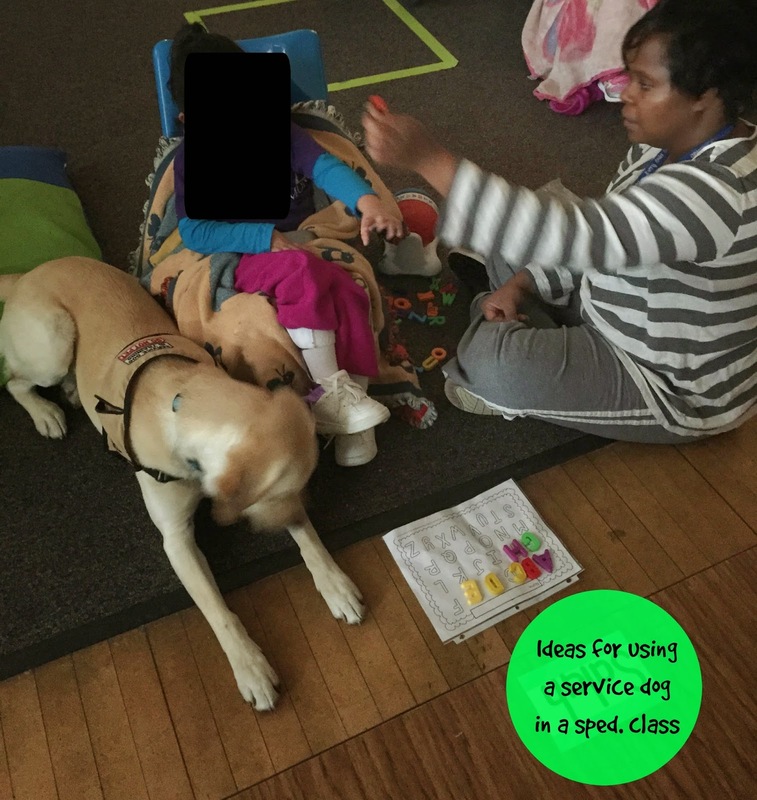 There aren't many resources about dogs working in self-contained classrooms, so I have definitely been learning as we go. 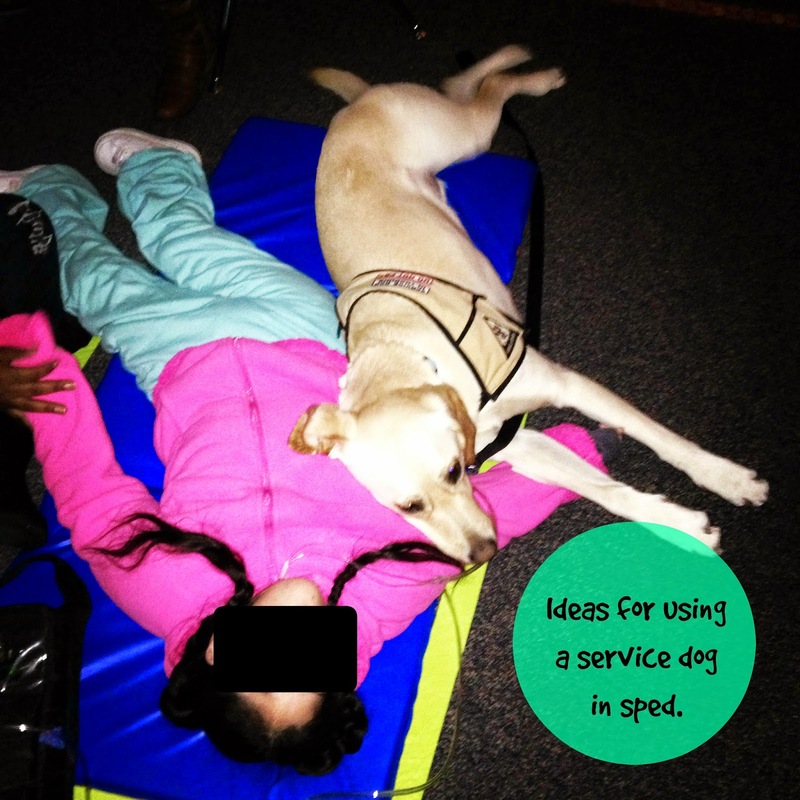 I want to share some of the fun ways Ike is improving the lives of my students! -My students spend a lot of time reading to Ike. 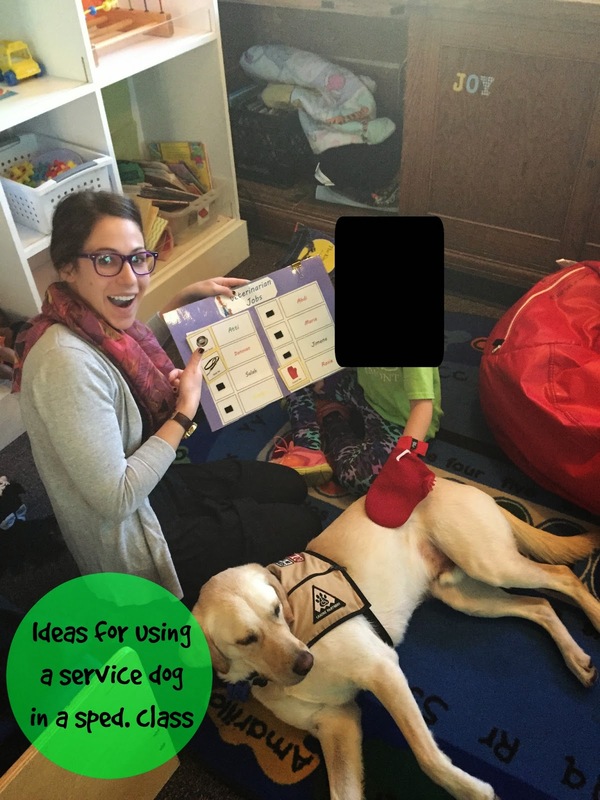 Some students read to him by talking about the pictures, some just sit quietly with Ike while they look at the pictures and some students use audio books to read to Ike. -My students are more motivated to work when Ike is laying next to them! 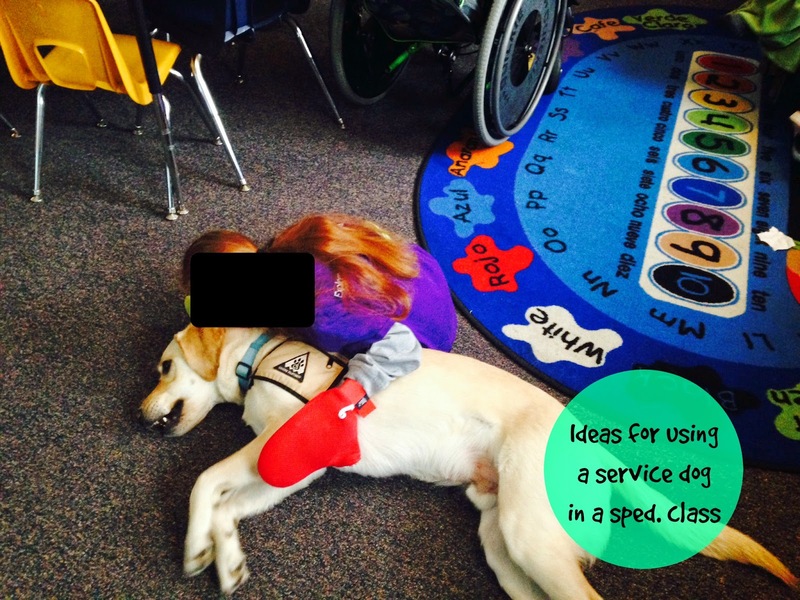 -My students use sign language to request Ike to do certain tasks. One student signs "more" to request that Ike opens and closes the cabinets. 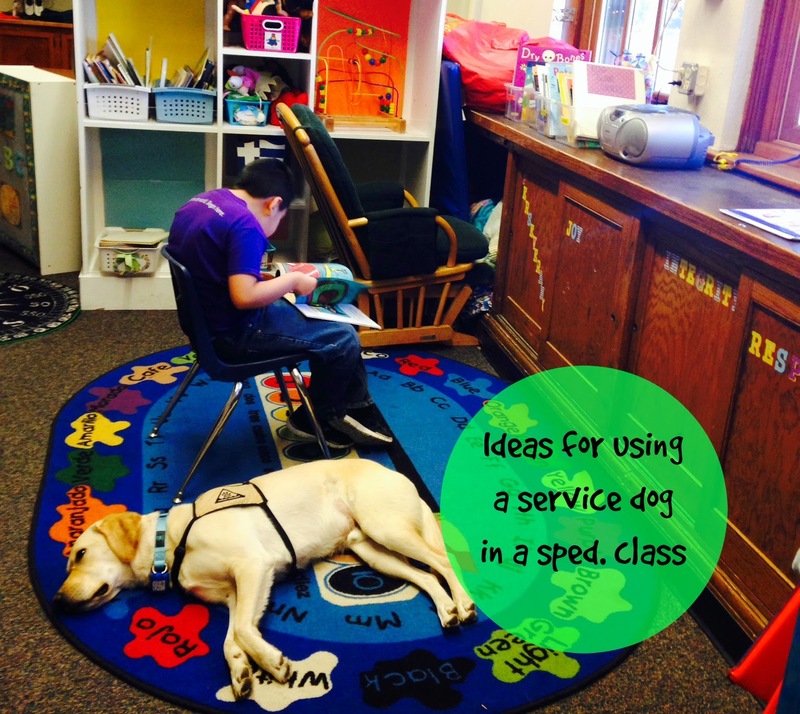 -Ike is amazing at stopping and preventing problem behaviors! Sometimes it's as easy as saying, "first you work, then you get Ike time." 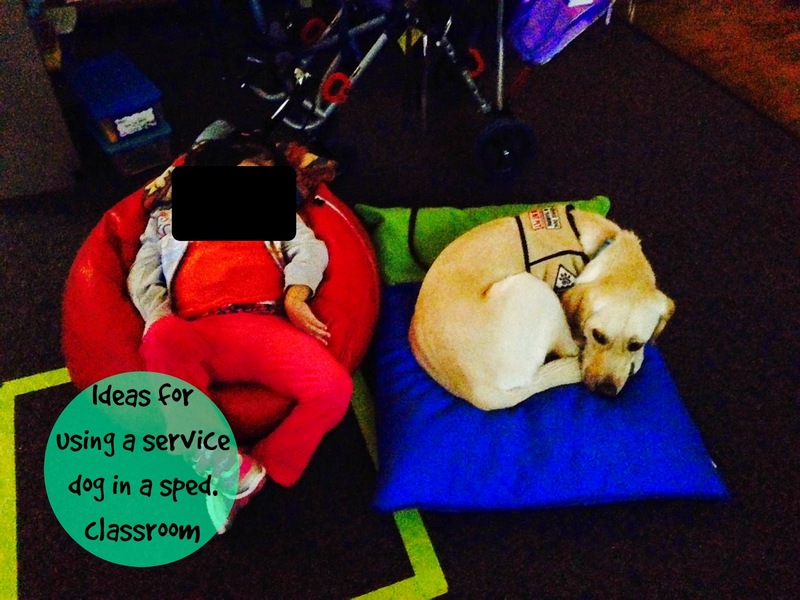 Or having Ike go to a student who is behaviorally struggling and providing the student with comfort. 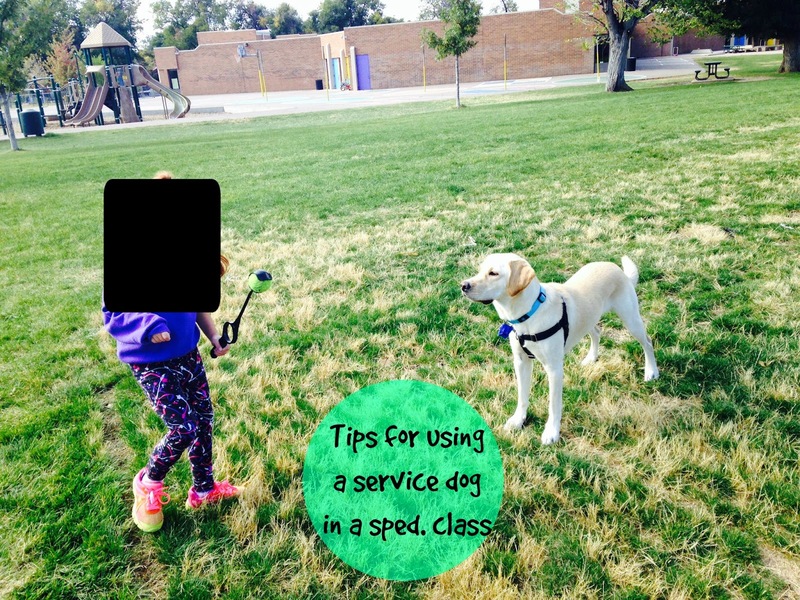 -Playing fetch with Ike at recess is great for their gross motor skills! 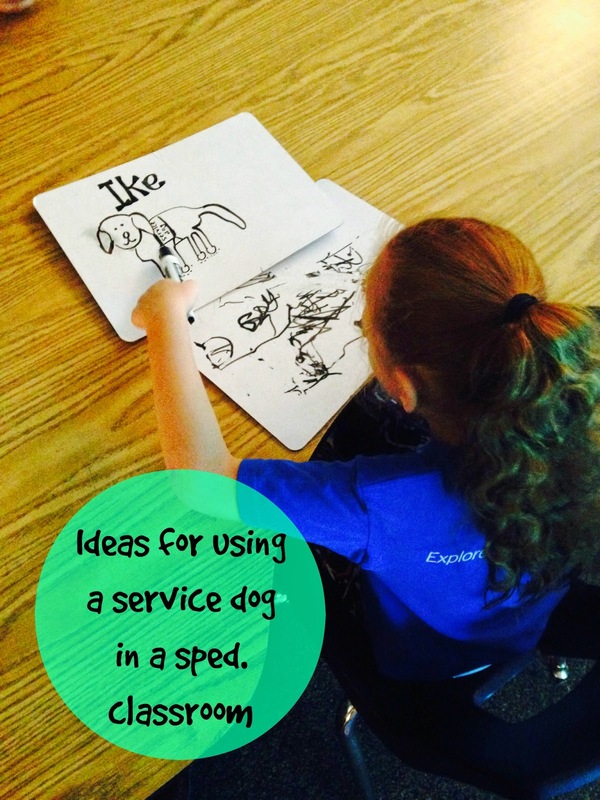 -My students love to practice their writing and fine motor skills by writing Ike's name and drawing pictures of him! 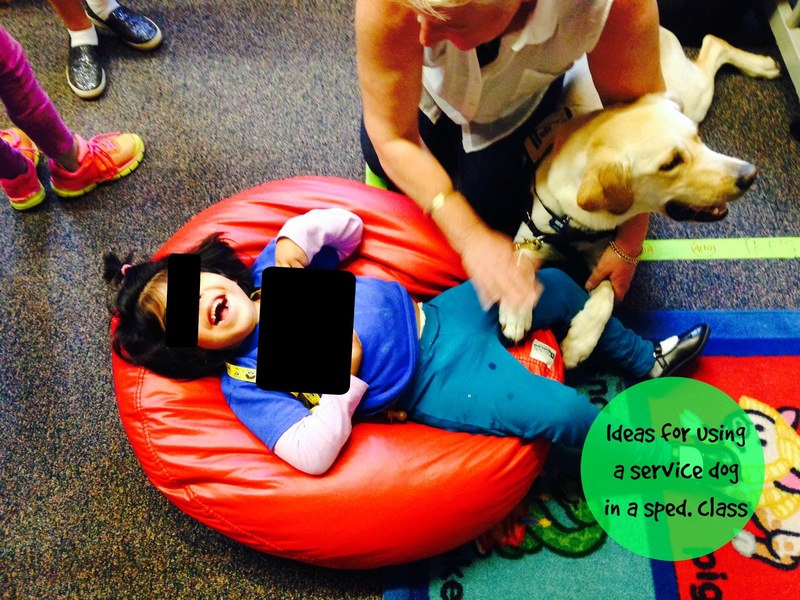 -Rubbing Ike with their feet is great sensory input! 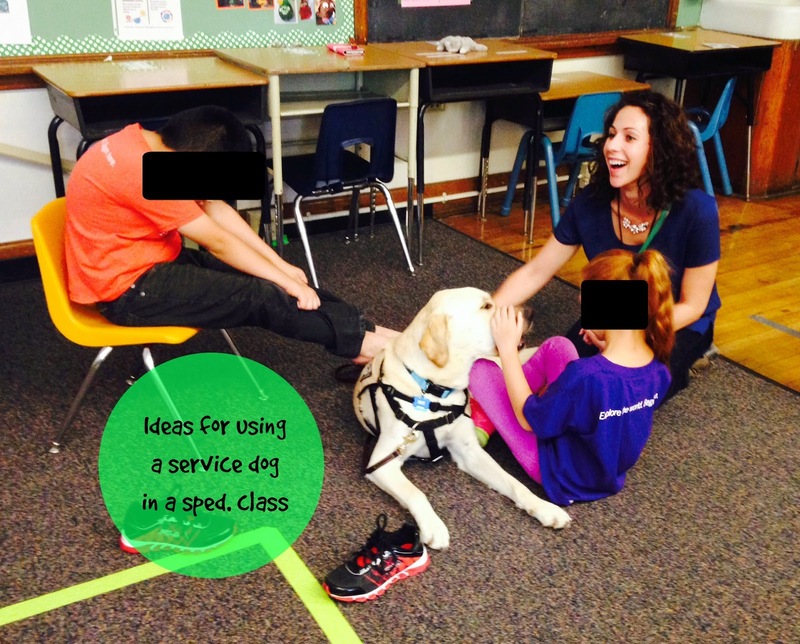 -Ike gives students sensory input and physical therapy by giving massages! 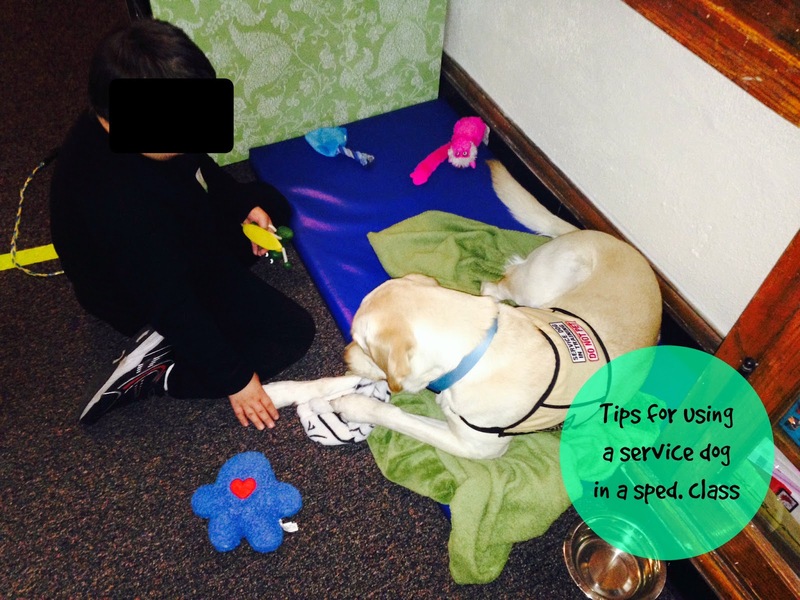 -Ike works with our students on their range of motion by motivating them to reach for him and pet him. -Ike models bowling for my students on community based instruction trips. -Ike gives my students great comfort during rest time and when students are getting PT and stretching. 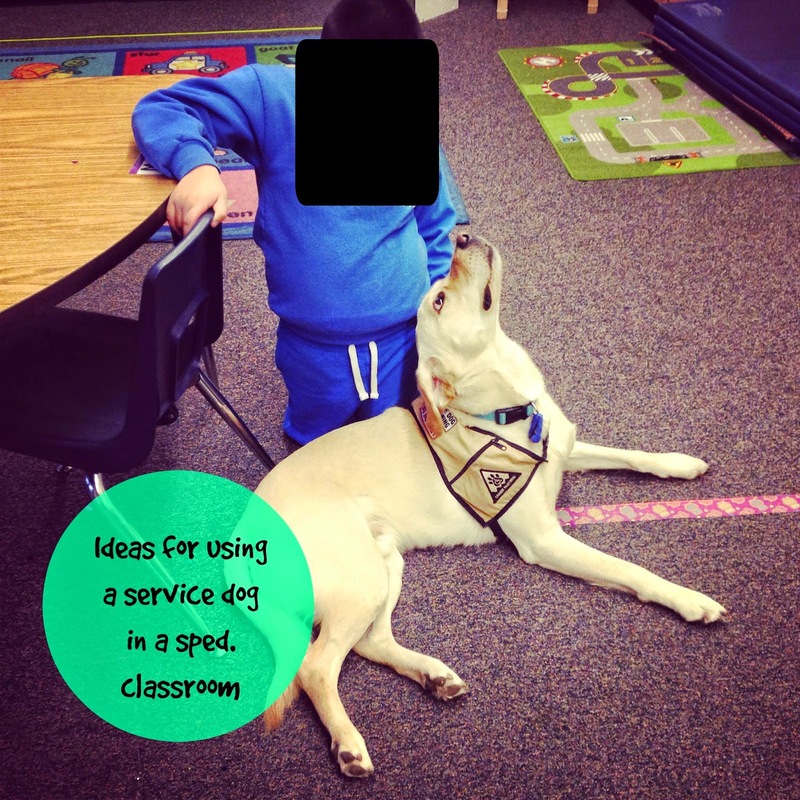 If you have fun and innovative ways of incorporating a working dog into your classroom, PLEASE share them with me!